A hundred years ago most working boats had a canvas roof, and it was also a common treatment on small buildings. The fabric was bedded in a lagging compound, which are extinct today. So after much research we arrived at a great substitute! 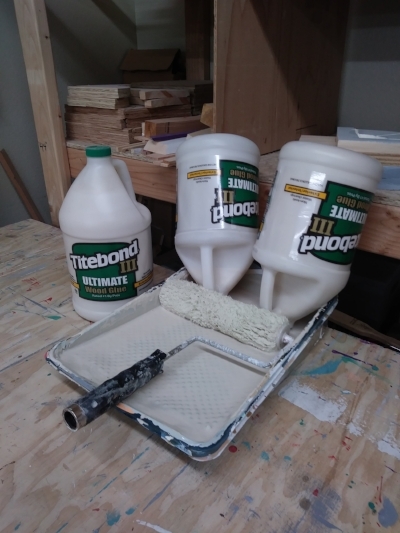 Titebond lll waterproof glue. Readily available at Hardware Stores and Home centers for about twenty-five dollars a gallon. It takes three gallons to put down a 6 x 10 sabbatical roof! Complete instructions are available in out Shop Manual: "Building the 21st Century's Gypsy Wagon"